This past weekend I participated in one of the most fun bachelorette parties I've ever been to. We beached all day long, and partied all night. It was a really fun and adorable group of ladies and I wish we could do it all over again. 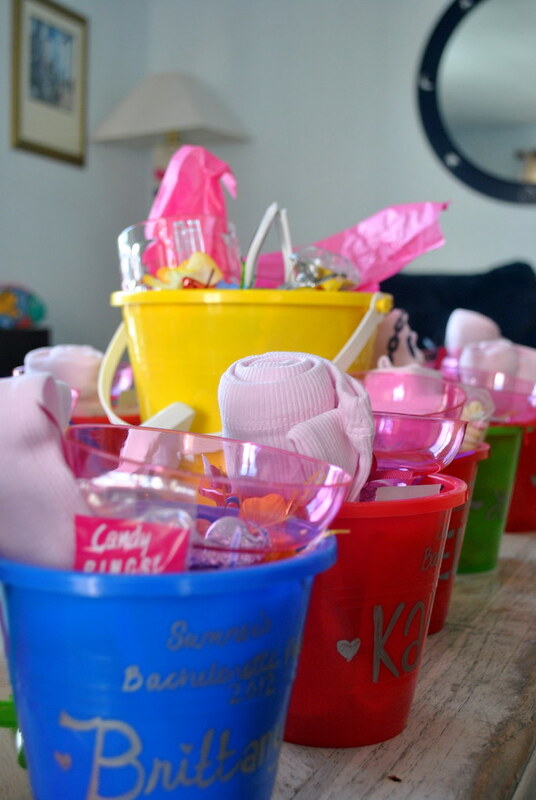 These were the little goody-bucket thank you's that that we (the bridesmaids) put together for all the attendees. You can see what sweet swag is stuffed inside below. The bride obviously got the big bucket and a few more goodies. My favorite thing was the nautical custom tank. We were like a big parade of 14 wild women on the loose in Dewey Beach! 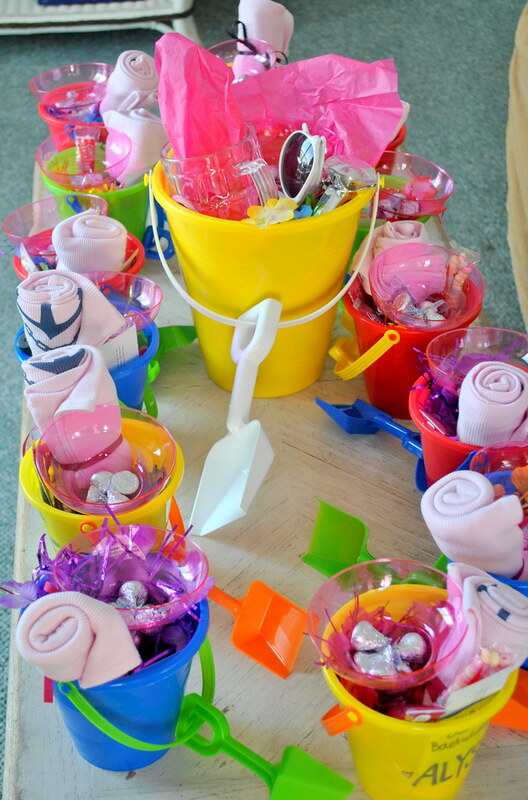 I love the buckets, what a cute idea! Oh my goodness! So much cuteness! I am the MOH for my bestie who is having her Bachelorette party at the beach next month... I am definitely going to be using these buckets as inspiration! These are so cute! I love all the goodies you put in each one of the little buckets. So cute and a great idea!!! LOVE the custom tanks, too!!! 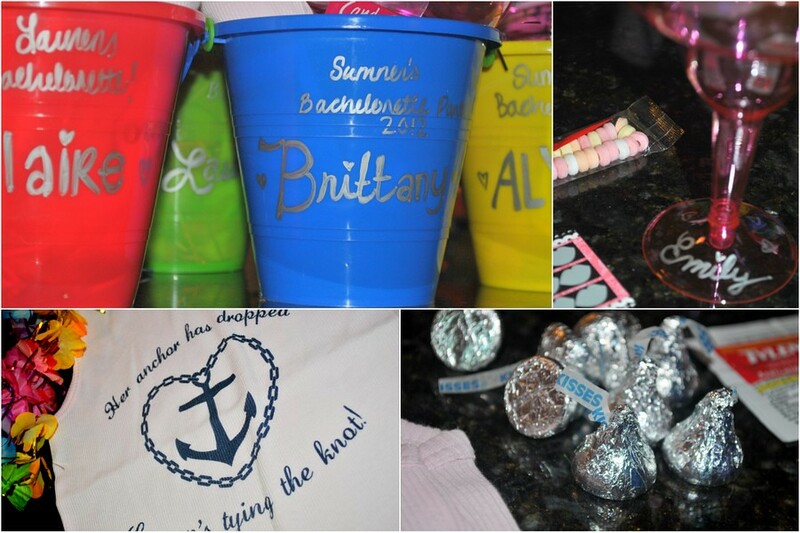 Cute idea for a bachelorette! What fun! BTW... thanks for your sweet comment on my blog several weeks ago. I am truly sorry that I am just now circling back. That is SO CUTE. I love that idea. My friend is getting married next september, I will definitely show her this. OMG will you be my MOH someday? So creative. This is so creative!! 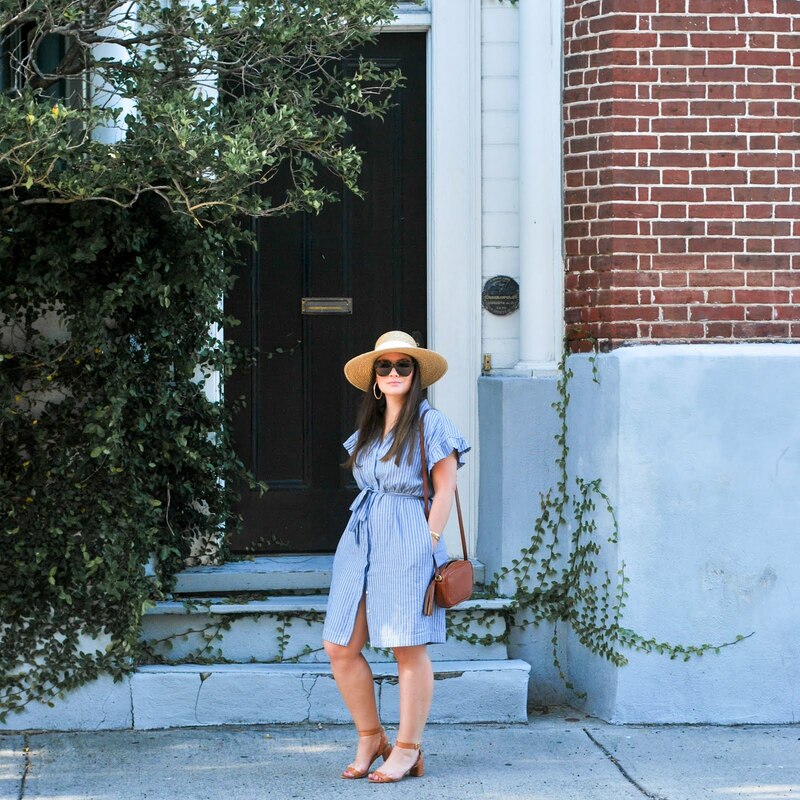 Best bachelorette party ever - agreed, will you be MOH too?! Looks and sounds like so much fun! These are so cute, I love that custom tank! Seriously, how are you not some sort of wedding party planner/cupcake baker?? this is such CUTE IDEA!! love it! hope you ladies had fun! Looks like so much fun! Totally love it! This looks so fun, what a wonderful party. I have a friends bacehelorette that will take place in Miami and I am so making these! 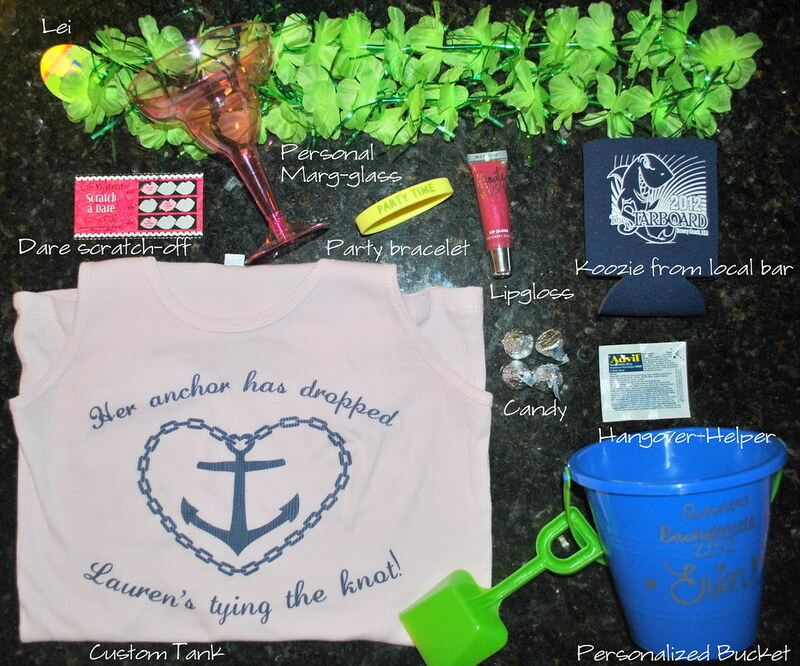 Okay, those tanks are the CUTEST bachelorette party shirts EVER!!!! I bet you ladies turned some serious heads! What a fun and cute idea! Glad you crazy ladies had fun! Oh my that is so cute! You guys really knocked it out of the park. I've never seen anything like this. I hope you pinned a lot of these images...everyone will want them as inspiration! Looks great! Such a fun idea!!! Those buckets are super fun. I hope you all had a blast! LOVE these goodie bags!!! how fun!!! OMG what an awesome idea. I LOVE this. Sounds like a blast! What a lucky bride to have amazing friends to throw her such a fun bachelorette!!! What a fantastic idea! Thanks for stopping by and showing love! Much appreciated!! XOXO! That is such a good idea! And, anything personal is always great!